Prepare the pitas according to the packet instructions. 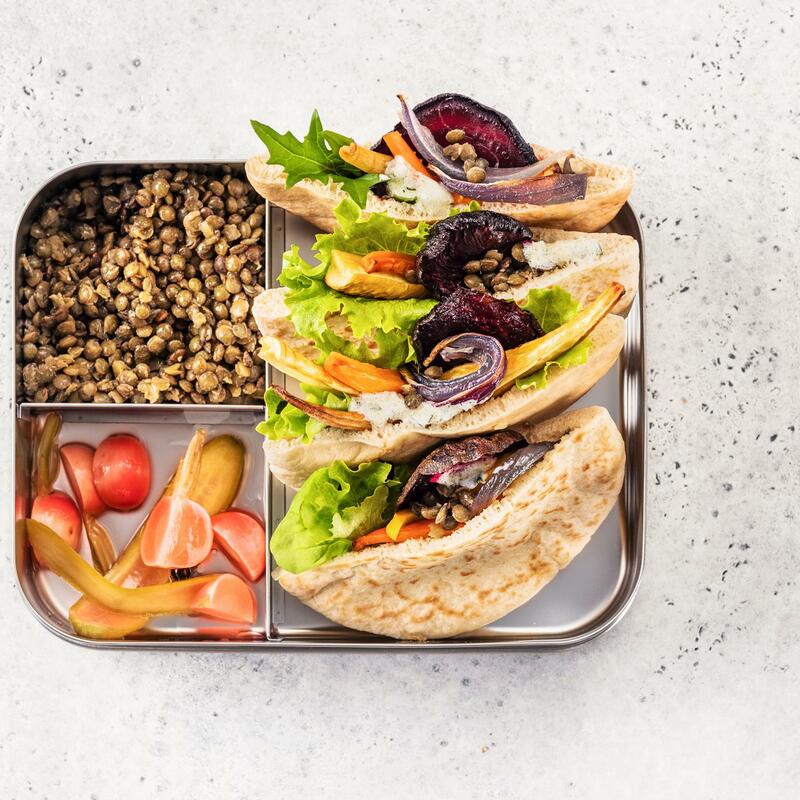 Cut open the pitas, fill with 2 tbsp of herb & yoghurt dressing, baby salad leaves, 80 g of roasted vegetables, 30 g of pickled radish & cucumber and lentils, as desired. Pour 1 tbsp of herb & yoghurt dressing into a small container, drizzle over the top prior to serving. Prepare the lentils, herb & yoghurt dressing and roasted vegetables approx. 1 day in advance, cover and keep in the fridge.